paleoevangelical: "Neither Dispensationalism nor Covenant Theology understand . . ."
"Neither Dispensationalism nor Covenant Theology understand . . ."
This is the end of the end. As you've seen in previous posts, we're interacting with the relationship between the biblical covenants and the association of the nation of Israel and the Church with them. 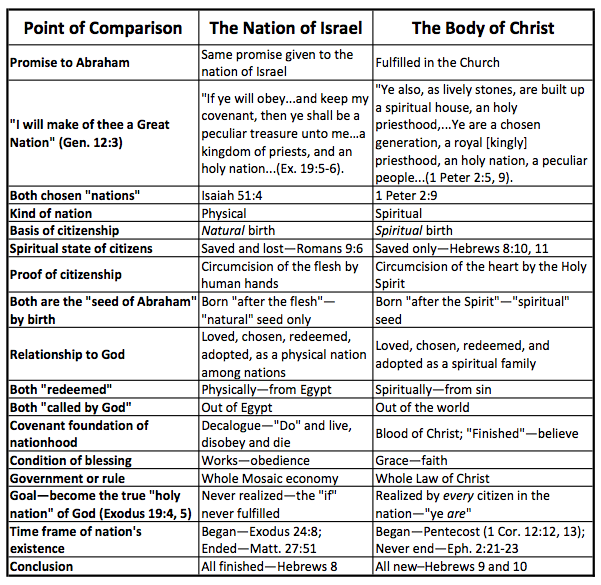 Below is a chart reproduced from John Reisinger's Abraham's Four Seeds. The chart is rooted in what Reisinger calls "five biblical facts." 1. Neither Dispensationalism nor Covenant Theology understand the biblical doctrine of the Church as the Body of Christ in the redemptive purposes of God. 2. Neither of these systems really has a true New Covenant replacing an Old Covenant where both covenants relate to the same redemptive purposes of God for his one true people. This is why Hebrews 8 does not fit either system. 3. Neither of these systems sees the true relationship of Israel and the Church. 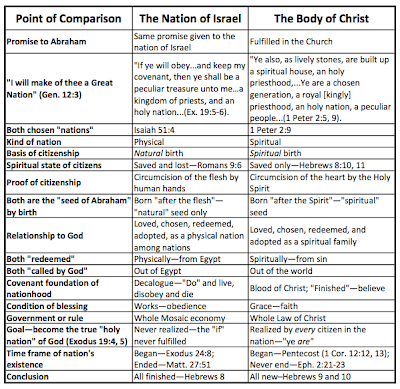 Both Dispensationalism and Covenant Theology insist on bringing the physical aspect of Israel as a nation into the New Testament either directly or indirectly. It should be abundantly clear that the unconditional promise that God made to Abraham has nothing at all to do with plural "seeds." It can have nothing to do with physical Jews and Palestine or with the children of believers and their salvation. God unconditionally promised Abraham that his seed would be the Messiah. The seed promised to Abraham is Christ! God promised to save and keep all those who were chosen in Christ to be the objects of the Father's unconditional love and grace. I might have missed this earlier, but Reisinger is NCT, yes? I've heard him classified as NCT. Can't remember if he self-describes. Can We Advance the Kingdom?